Jammin Butter has a terrific sale today on this Disney Princess Fleece Blanket (measures 46" x 60"). 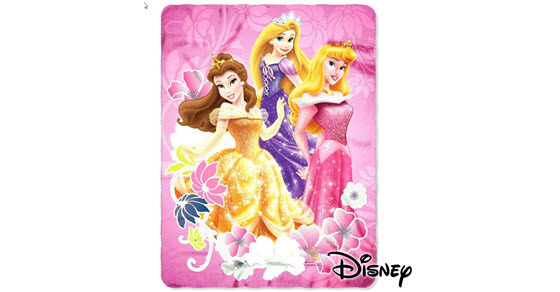 The blanket features Belle, Aurora, and Rapunzel. It retails for $26.97 and they usually sell it for $11.99. But even better than that, you can use coupon code DISNEY-FLEECE to make it only $7.91. Plus get free shipping!